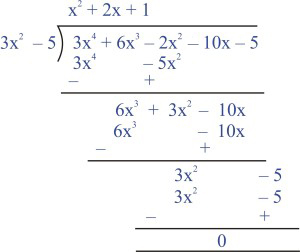 (ii) Here, the dividend is already in the standard form and the divisor is also in the standard form. 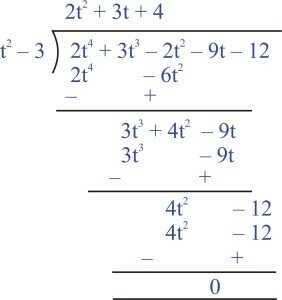 Therefore, the quotient is and the remainder is 8. (iii) To carry out the division, we first write divisor in the standard form. 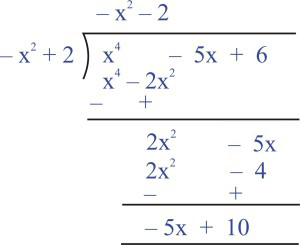 and the remainder is – 5x + 10. Sol. (i) Let us divide . 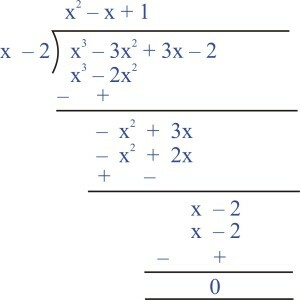 Since the remainder is zero, therefore, is a factor of . (ii) Let us divide . 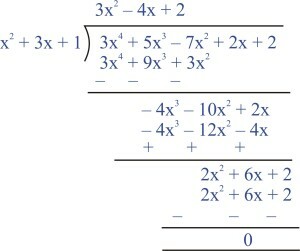 Q.3 Obtain all the zeroes of if two of its zeroes are . Sol. 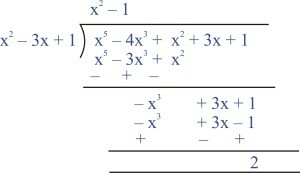 Since two zeroes are , so are the factors of the given polynomial. 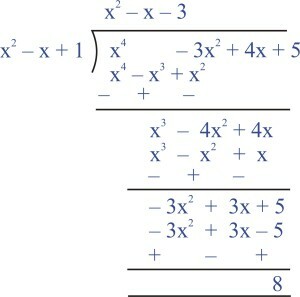 is a factor of the given polynomial. So, its other zeroes are – 1 and – 1. 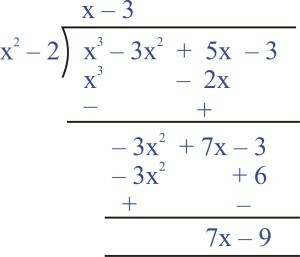 Q.4 On dividing by a polynomial g(x) , the quotient and remainder were x – 2 and – 2x + 4 respectively. Find g(x). Sol. There can be several examples for each of (i), (ii) and (iii).